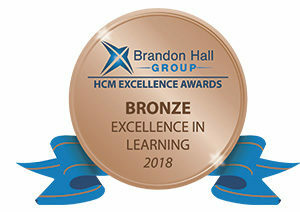 CrossKnowledge, a global leader in digital learning solutions, awarded in five categories at 2018 Brandon Hall Group Excellence Awards. Considered the “Academy Awards of Human Capital Management,” this program is the most prestigious in the HCM industry. Amer Sports, a sporting goods company with internationally recognized brands including Salomon, Wilson, Atomic, Arc’teryx, Mavic, Suunto and Precor, won the Gold Medal in the category ‘Best Launch of a Corporate Learning University’. With CrossKnowledge Solutions, Amer Sports have not only succeeded in building a great learning portal, but also established a new culture of and attitude to learning and people development within the community. 30% of the users access ASK on a weekly basis to learn, and approx. 50% on a monthly basis. In total 87% of our users are active in ASK. The user satisfaction survey also showed excellent acceptance of the tool, with users saying that they felt more valued, supported and enabled. 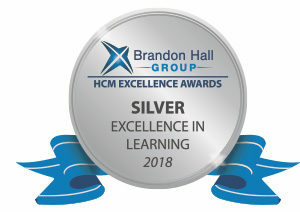 Desjardins won the Silver Medal in the category ‘Best Use of Blended Learning’ which manages the training for its 45,000 employees with located worldwide. Desjardins deployed a new blended learning model leveraging CrossKnowledge’s Blendedx technology. The program focused over the past year in providing leadership development opportunities for new managers within the Desjardins organization in both Montreal and Toronto. The first two cohorts (~40 participants) granted the overall blended learning experience an NPS score of 93. The average time-spent for the participants was measured and revealed: a majority of learners spending more than 1.5 hours in the online learning part of the program with an average 39.4 hour for the overall program per learner. Ricoh USA won the Silver Medal in the category of Best Use of a Blended Learning Program. Ricoh’s Emerging Leader Program (ELP) is designed to prepare individual contributors for first-time manager success. In order to better allocate Ricoh’s internal resources and promote increased collaboration capabilities, it moved the ELP to the CrossKnowledge platform in 2017. 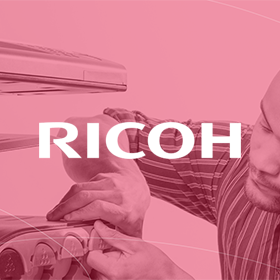 This allowed Ricoh to transition from primarily custom content to curated content, and enabled increased collaboration through the use of Blendedx. Since its inception, 645 participants have graduated from the program. 17 percent of them have be promoted to higher-level positions with 31 percent into management-level positions. Junior Achievement USA won the Silver Medal for Best Use of a Blended Learning Program. The mission of Junior Achievement is to empower young people to own their economic success. Using the CrossKnowledge learning experience platform, Junior Achievement has developed a blended approach for K-12 programming that provides both print and online content to better individualize learning programs and accommodate the diverse needs of students, volunteers, and teachers. A change management survey was completed and the following reflect some of the survey results: • 68% of respondents implemented 4 of the 5 blended programs • 27% of respondents implemented 1-3 blended programs • 64% of areas report serving schools with technology, though it can be limited • 78% of areas are using projection mode as the primary delivery method. Motorola Solutions won the Silver Medal for Best Results of a Learning Program. As a result of this being the first on-line learning program for the enterprise wide management team, Motorola’s initial priority was to gain adoption and continuous engagement of the platform and a goal of 100% participation and completion by all managers of the People First Leadership program. As a result of implementing their People First Academy, Motorola experienced a 94% completion rate for the enterprise leadership of the People First Program. Pandora, an international Danish jewellery manufacturer and retailer founded in 1982, won the Silver Medal in the category ‘Best Advance in Learning Technology Implementation’. The implementation of the new learning platform led quickly to tangible benefits. The efficiency and ease of use has improved, with the number of clicks to relevant content being reduced dramatically. The usage of the eLearning contents has increased with almost 9,000 hours within 20 days. The productivity has also improved, with the time spent away from the shop floor being reduced. Finally, engagement has been increased, due to the localization and the availability of over 23 languages. Action Contre la Faim, a non-governmental, non-political, non-religious, non-profit organization won the Bronze Medal in the category Best Unique or Innovative Learning and Development Program. The aim of Action Against Hunger is to save lives by combating hunger and diseases that threaten the lives of vulnerable children, women, and men. Action Contre la Faim partnered with CrossKnowledge for it’s Learning Strategy. With a few more than 2,200 registered users Talent Bridge is running at full speed. In contrast, the use of Talent Bridge is gaining ground and becoming increasingly popular with ACF-F staff. This can be seen in the average connection time which was 5.2 hours per active e-learner only a year ago now up to 10.8 hours, bringing the total connections up to around 29,000 since mid-2016. Innogy, an energy company won the Bronze Medal for Best Use a Blended Learning Program. With the help of CrossKnowledge, Innogy deployed Blended leadership program for the top 170 managers of an energy company in transition towards the renewable energy market. Integrated with HR performance review process, based on 70:20:10, strong feedback loops for Agile program adjustments and with a very attractive mix of online activities, workshops and face-to-face coaching. Within two weeks after the invites were sent, 97% of the target group registered for the kick start workshops. Access to the i-Lead People platform was granted to all participants in March 2018. Within one month 50% has started a learning journey of the Big5 model. Average time spent in online learning modules is 1 hour.